Kratom products from a Las Vegas company are the target of a mandatory recall notice from the FDA because of salmonella fears. A website associated with Triangle Pharmanaturals is no longer online; neither is its Facebook page. Citing salmonella concerns, the Food and Drug Administration has issued a mandatory recall for kratom products made by a Las Vegas company — and the federal agency says it's the first time it has ever taken such an action after a company ignored a federal request for a voluntary recall. An herbal supplement that is sometimes promoted as a safer substitute for opioids and is also used as a recreational drug, kratom is derived from plants that grow in several Asian countries. Its safety and legal standing have been the subject of both wide-ranging debate and threats of tighter federal regulation — but the FDA says this week's recall is meant only to protect U.S. consumers from a pathogen. "Triangle Pharmanaturals refused to cooperate with FDA despite repeated attempts to encourage voluntary recall," the agency said at the top of its mandatory recall notice for a range of the company's kratom products. "This action is based on the imminent health risk posed by the contamination of this product with salmonella," said FDA Commissioner Dr. Scott Gottlieb, "and the refusal of this company to voluntarily act to protect its customers and issue a recall, despite our repeated requests and actions." 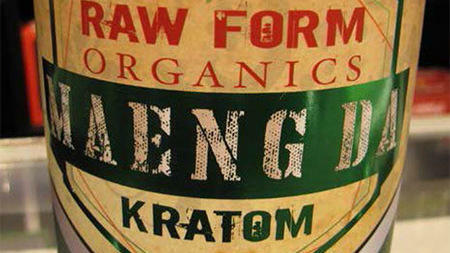 The recalled products include supplements such as Raw Form Organics Maeng Da Kratom Emerald Green, Raw Form Organics Maeng Da Kratom Ivory White, and Raw Form Organics Maeng Da Kratom Ruby Red. 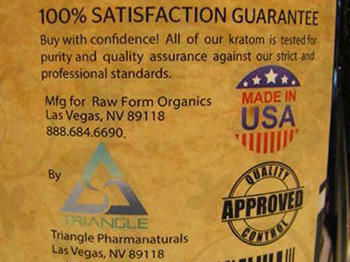 Those and any other kratom products made or handled by Triangle Pharmanaturals should be discarded, the agency said. The mandatory recall comes days after the FDA formally sent a request for a voluntary recall to Triangle Pharmanaturals on March 30. That request was ignored, the agency says, adding that the company also did not respond to a follow-up order to cease distribution. In addition, the FDA says, its "investigators were denied access to the company's records relating to potentially affected products and Triangle employees refused attempts to discuss the agency's findings." A website associated with Triangle Pharmanaturals is no longer online; neither is its Facebook page. According to Nevada public records, the company is a limited liability company that filed its articles of organization on April 4, 2017. The FDA says six samples of the company's kratom products tested positive for salmonella, including two samples that were sold at a store called Torched Illusions in Tigard, Ore., and were collected by the Oregon Public Health Division. It's only the third time the FDA has invoked its mandatory recall authority — but the agency says it's the first time it has had to order a mandatory recall because a company chose not to follow its order of a voluntary recall. According to the FDA, the recall dispute played out as it tried to shut down a multistate outbreak of salmonella cases the FDA says have been linked to "numerous brands of kratom-containing products." The strains of salmonella bacteria in Triangle's kratom products are different from the ones in that outbreak, the agency says. "Most people infected with salmonella develop diarrhea, fever and abdominal cramps 12 to 72 hours after infection. The illness usually lasts 4 to 7 days, and most people recover without treatment. However, in the current salmonellosis outbreak associated with kratom products, unusually high rates of individuals have been hospitalized for their illness."